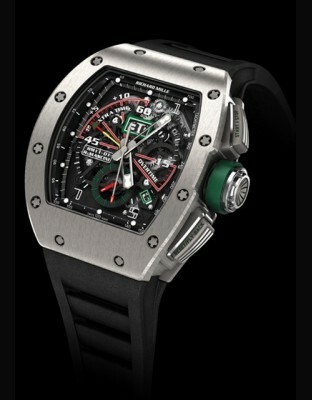 Price request for RM 11-01 Roberto Mancini chronographe FlybackRef. The former footballer Roberto Mancini has an impressive list of titles to his credit. As a player, he won the Italian championships six times, was voted Player of the Year in the Italian league twice, was twice part of the winning European Cup Winners’ Cup team and also lifted the UEFA Super Cup. Given this exceptional career, it was only natural for Roberto Mancini to turn manager and, in 2009, he took the mighty Manchester City team under his wing, guiding them to victory in this year’s Premier League. 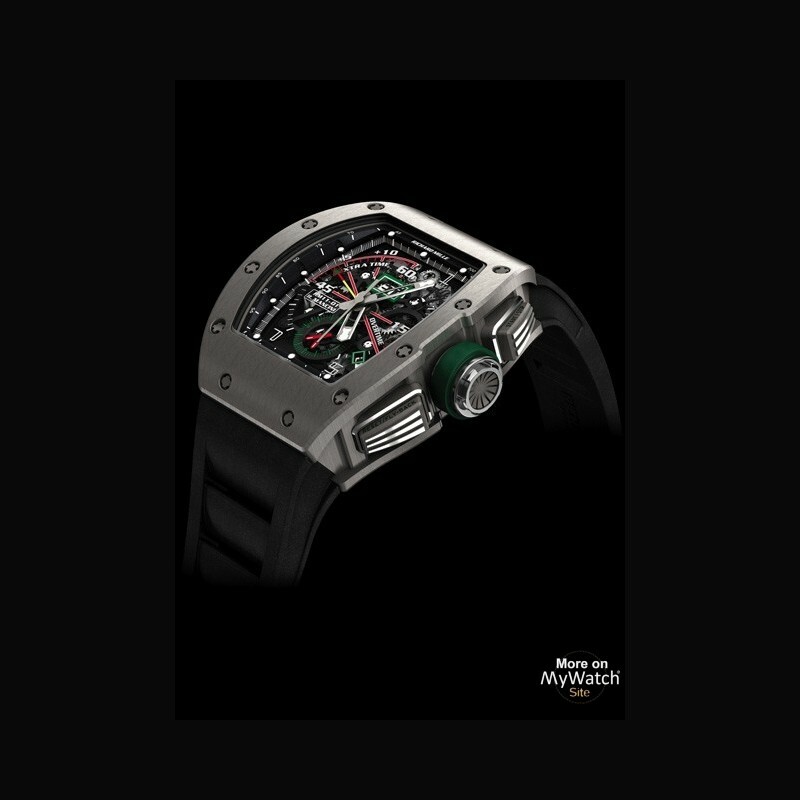 Roberto Mancini’s personality won Richard Mille over immediately: an unrivalled tactician, he shines with his inventiveness and elegance on the pitch. A true gentleman of football, he is the very image of the brand: refined, technically brilliant and creative. 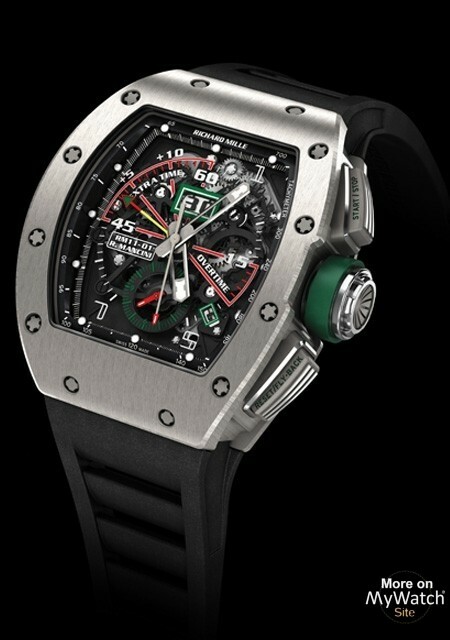 The RM 11-01 was designed especially for this new Richard Mille partner. During a football match, both halves, extra time and stoppage time are all nerve-wracking periods for a manager. Tactics are decided according to the remaining match time, and strategies can lead to either victory or defeat. 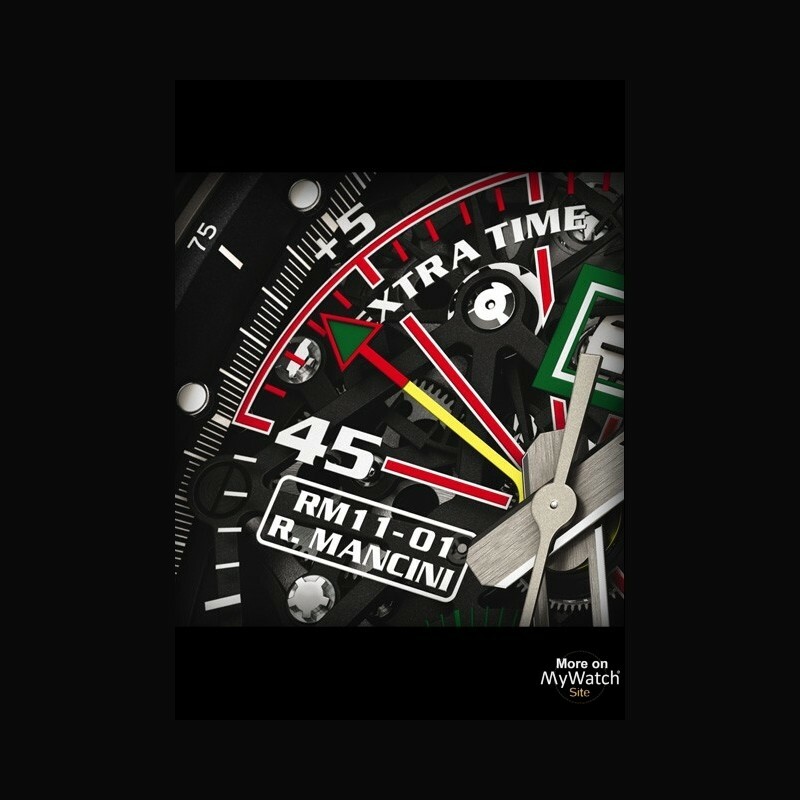 Roberto Mancini was looking for an ultra-technical instrument to assist him not only during matches, but especially during extra time, when the remaining minutes are no longer displayed to the players or their manager. It is a moment of intense anxiety for the latter, who no longer has any match-specific temporal reference points. up to 5 minutes of stoppage time. 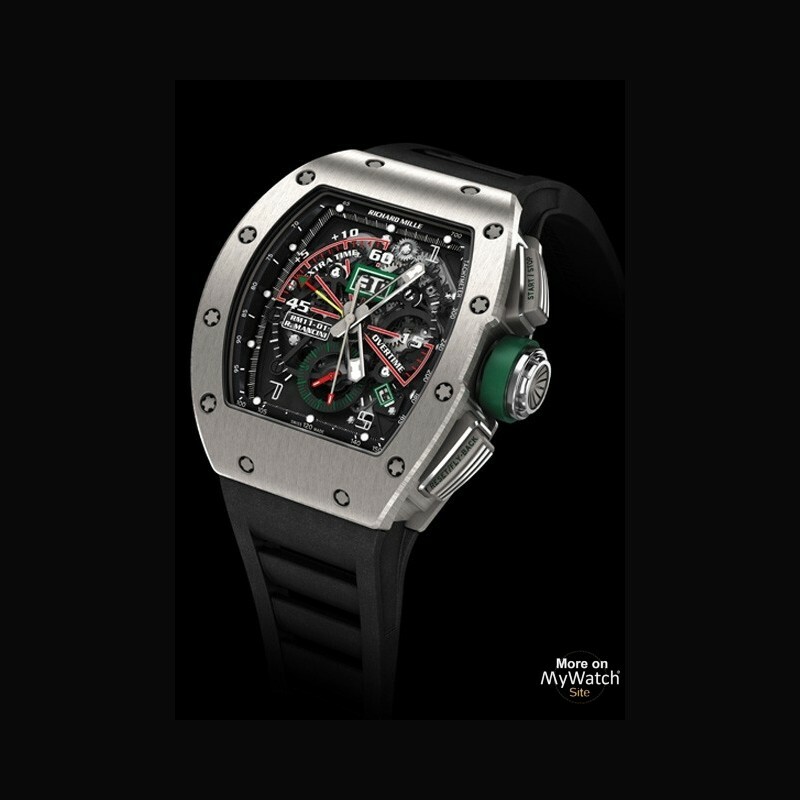 The case of the RM 11-01 reproduces the celebrated design of the RM 011. 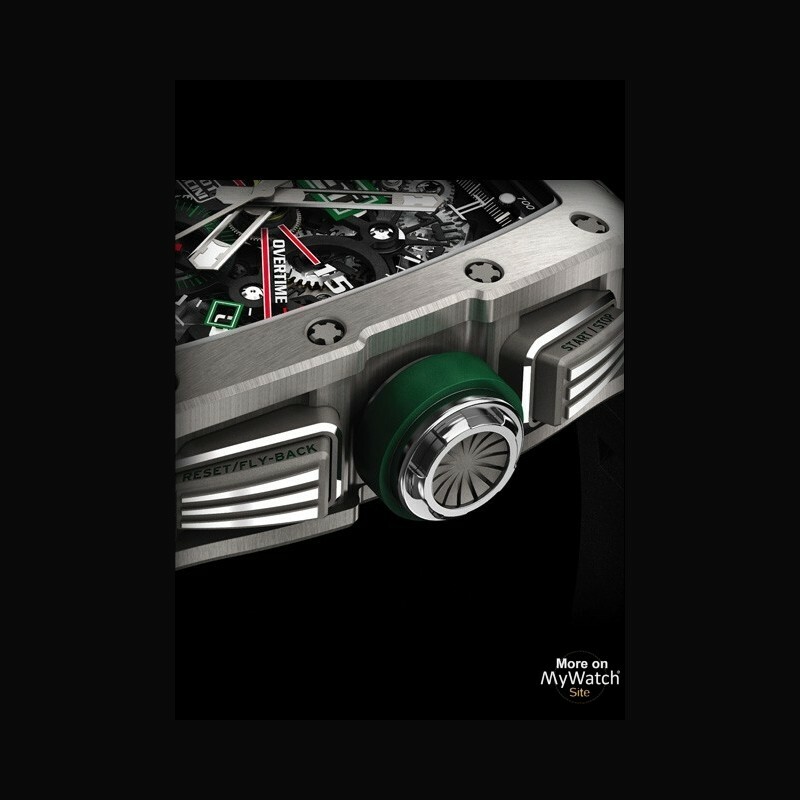 It is tonneau shaped and made in three parts from grade 5 titanium and has Nitril O-ring seals that make it water-resistant to 50 metres. 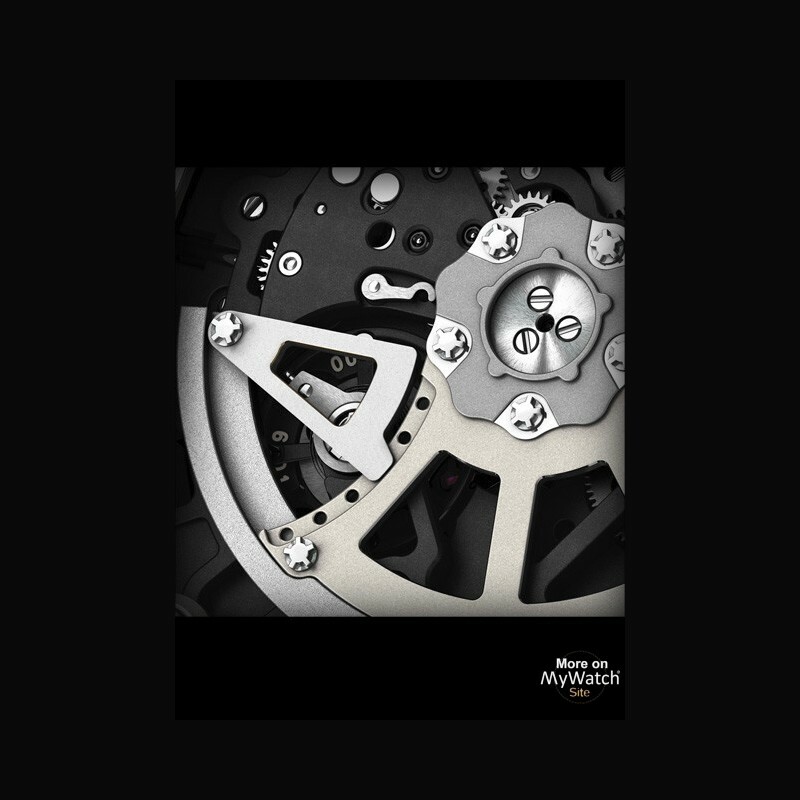 It is assembled using 20 spline screws, also in grade 5 titanium, and with wear-resistant 316L steel washers. Completing this extremely ergonomic case required 420 hours of design work and over 200 machining operations. 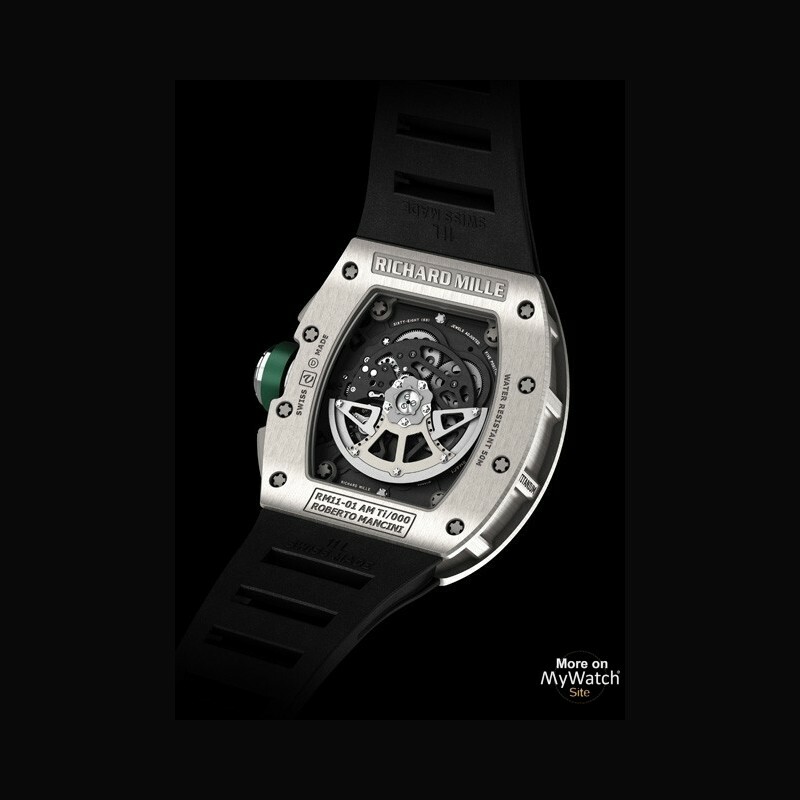 For the Manchester City manager, the RM 11-01 Roberto Mancini is the ideal instrument for following a match and choosing the best strategies for victory.